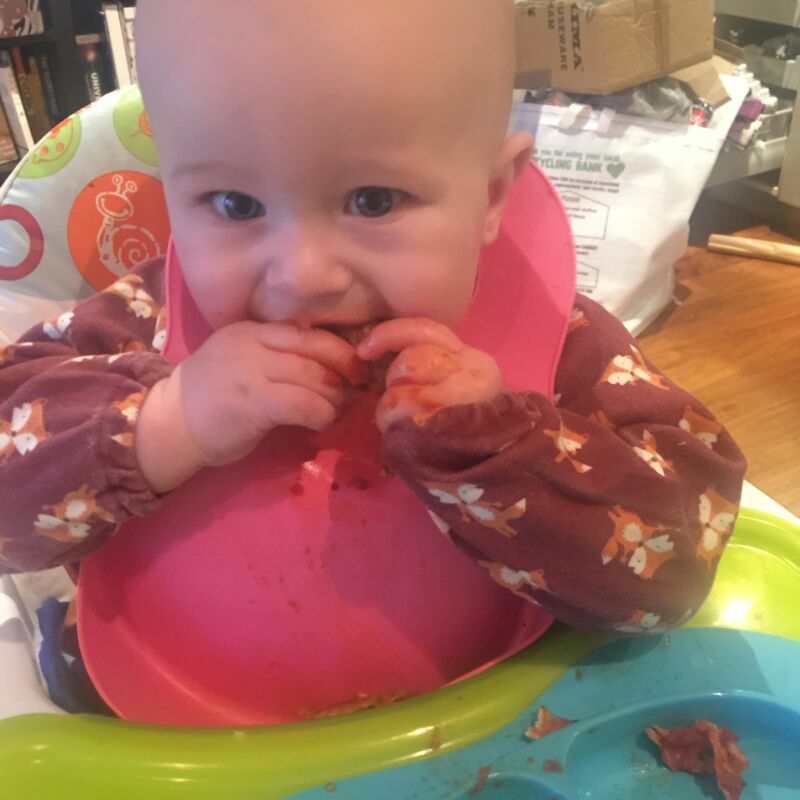 Pizzas are a huge staple in this house, we love ordering them for takeout, buying them fresh from the supermarket and making our own. Before Dex, we would make our own dough, spend hours proofing it, rolling it and baking it. We rarely have time to do this now, so we needed to find a quick way of making our favourite Italian food. I like to buy Lebanese flatbreads and build up pizza toppings on them. We use chicken, chorizo, spinach, ham, cheese, jalapenos; anything that you would normally put on a pizza. 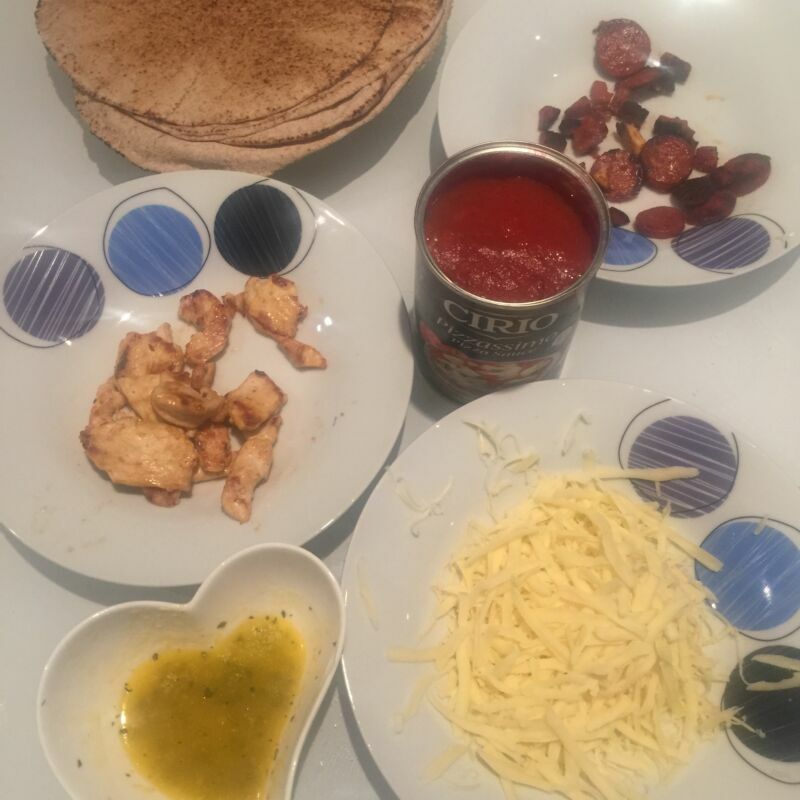 Of course it also needs a tomato base and we like to use a tin of Cirio pizza sauce. 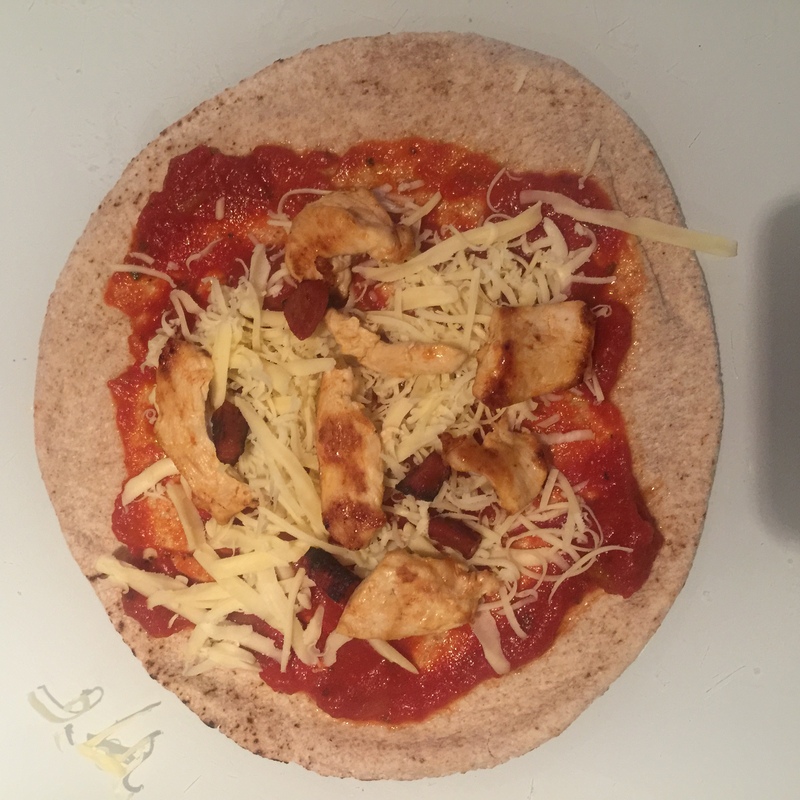 It’s much healthier to offer Dex one of these pizzas instead of a supermarket or takeaway one. I know exactly what has been put on it and they are not greasy in the slightest. What’s more, I don’t have to worry about salt content either. Dex loves all the different tastes and the flatbread remains soft enough for him as long as it isn’t left under the grill too long. We usually make these as a quick lunch or eat them alongside a small pasta dish as an evening meal. Let me know if you try these pizza flatbreads. They’re so easy to make and it’s lot of fun building the toppings too! Wow these look great and easily adapted for my dairy free baby! Thanks for the idea!